As we drove our small, red Fiat 500 out of Inverness airport, the rain began to fall. At first it was a light shower; falling gently against the windscreen. 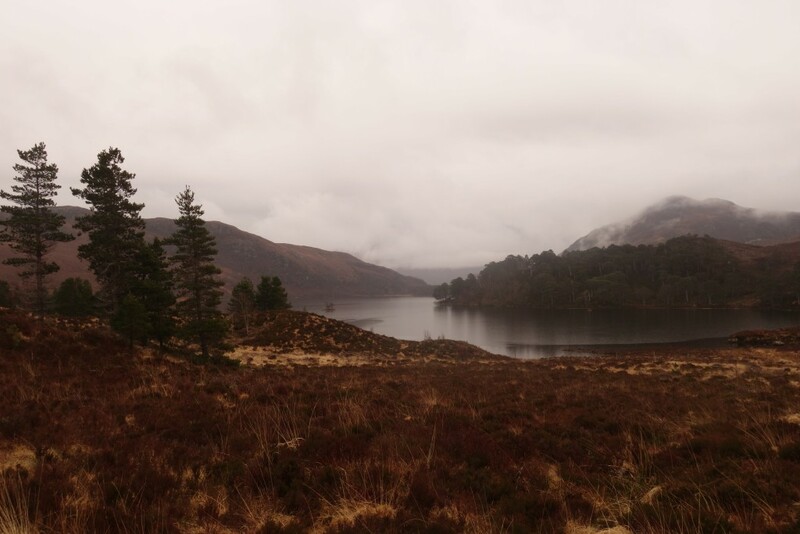 But as we headed north, towards the commanding mountains and dark lochs of North West Scotland, it began to pour. Car lights flashed on, frenzied windscreen wipers thrashed nosily against the glass, and a thick mist clung to the trees and hills surrounding us. We had made it to the highlands. Our love affair with Scotland began a few years before with a trip to the Isle of Skye. A place of white beaches, snow-capped mountains and Martian-like plains, this is a part of the world where you half expect to see Frodo and his friends climbing a hilly peak. It’s awe-inspiring and otherworldly, and a place we could visit time and time again. However, it was time to branch out a little; leaving the magical islands behind for the mighty highlands of mainland Scotland. As Claire was busy with wedding duties, Mike would be my partner in crime for the weekend; exploring with me the region of Wester Ross and staying at the very special Pool House, run by the incredible Harrison family. Driving through the highlands is a cinematic experience. Mountains rise up without warning, pinning narrow roads between them. Valleys with deep forests fall away from the roadside, whilst hills covered in deep red ferns frame the sky. At the turn of a bend, endless lochs appear, nestled into the deep nooks of mountains; sometimes a bright blue or often an inky black, depending on the famously changeable weather. Unsurprisingly, our 90 minute drive from Inverness to Poolewe, where we would be staying, took almost double the time. We got out of the car constantly: standing in the rain, trying to get that perfect shot of the incredible scenery. After a warm welcome at the Pool House and being introduced to our incredible suite (complete with Chinese Marriage Bed: bet you’ve never stayed in one of those), we spent the evening eating an incredible five course meal before climbing into our Chinese bed for a surprisingly good night’s sleep (I’d been a little worried that the ghosts of Chinese newlyweds might haunt me all night). 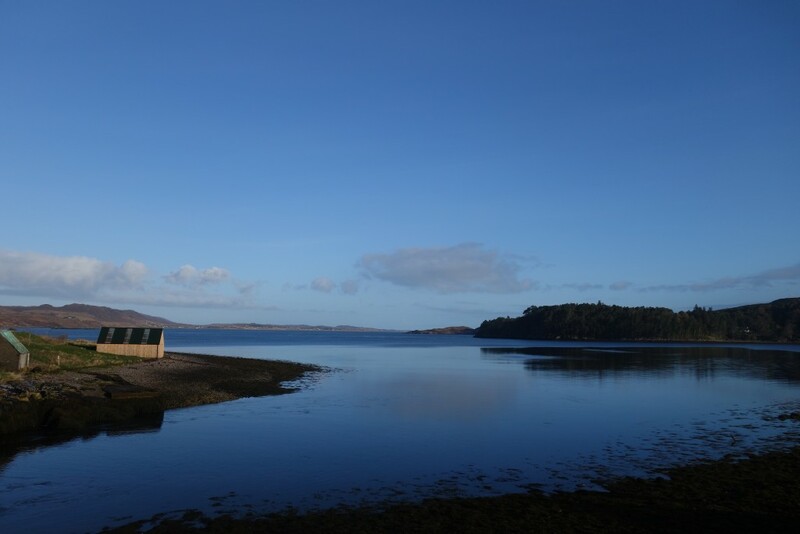 The next morning we woke up to blue skies and sunshine: the highlands were looking better than ever. After a two course breakfast and obligatory piece of haggis, we were off in our little car, heading towards Scotland’s Summer Isles. To anyone considering Wester Ross and this part of Scotland, definitely spare some time to visit the beaches. Admittedly, a Scottish beach doesn’t immediately conjure up the most glamorous image or ideas of a Maldivian paradise. But they’re not far off. The beaches here are wide, immaculate and dusted in fine white sand. They are also almost entirely empty; saving you the delicate task of picking your way through crowds of sticky Brits, covered in factor 30. 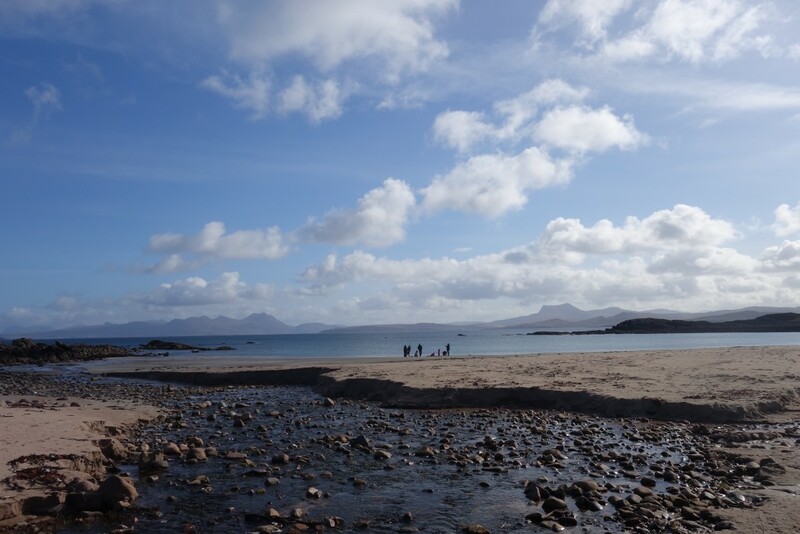 On our way out towards Route 500, we stopped at the Mellon Udridgle (still struggling with the pronunciation of that one) to visit the beach of Camas a’Charaig. 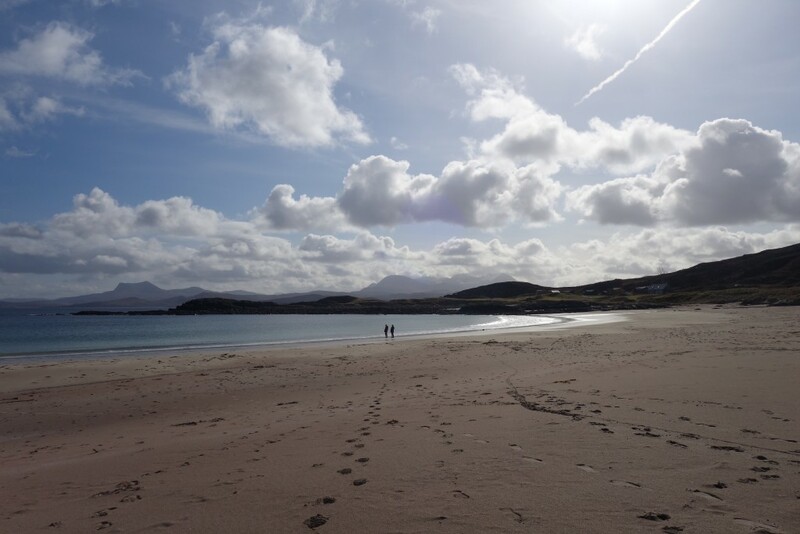 With the sun shining brightly and big blue skies, it was hard to believe that this beach, with its soft white sand and turquoise waters, was off the coast of North West Scotland. Perhaps it was only the incredible vista that gave it away. 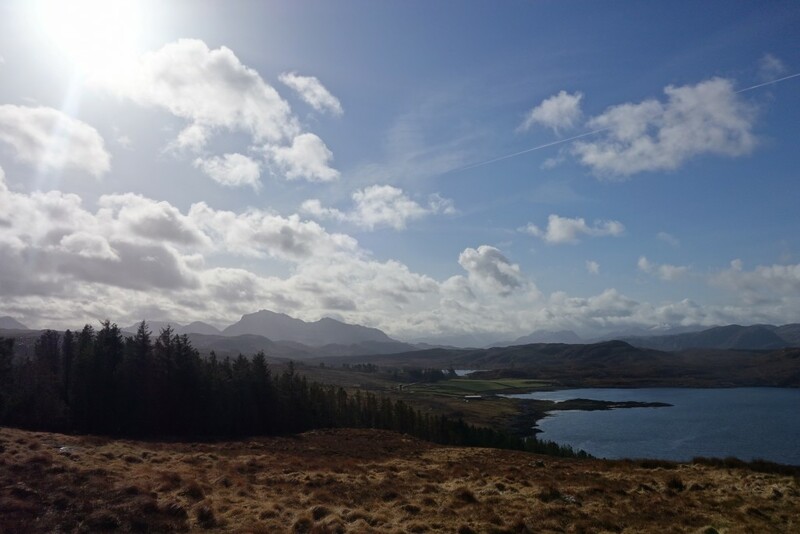 Whether you look east or west, epic mountain ranges rose out of the sea, including the profile of the Suileven range, the mountains of Coigach, and a glimpse of An Teacllach. Back in the car again and we were off, heading north up towards Gruinard Bay. Boasting three pink sand beaches, this is another shining example of Scotland’s picturesque coastline. Luckily for us, it was also where a gang of seals were choosing to sunbathe that day. With each perched on individual rocks, they looked like (not so little) black bananas, glistening away in the sunshine. We half climbed, half fell down the slippery rocks to get a closer look at these little guys, which was well worth the effort. Heading inland again, we found ourselves on long, straight, empty roads, framed at each end by snow-capped mountains and the chance deserted house. The scenery here changes quickly and constantly, like a kaleidoscope of different vistas: perfect road trip material. After a quick stop at a craft shop (there are so many of these around this area! ), we made it to Corrieshalloch Gorge. Over 2.6 million years old, this box-canyon was created by melt water from the Ice Age. It’s also deep. Here you have the luxury of crossing a swinging bridge, built in 1874, with the Falls of Measach thundering below you. If you suffer from vertigo, this is a lot of fun. I wobbled across, trying to take photos, whilst also becoming convinced that the bridge was falling. Needless to say, despite the spectacular sights that the gorge has to offer, I have no spectacular photos of them. But for you braver readers, please make sure you stop past here on your Scottish road trip: it’s worth it. Driving on a little more (poor Mike’s experience of travelling with me has mostly included being trapped in a car), we made it to Ullapool: a coastal town sitting on the shores of Lochbroom. A practical note: there aren’t a huge amount of large towns in this area, offering supermarkets or petrol. So definitely be sure to stock up here! 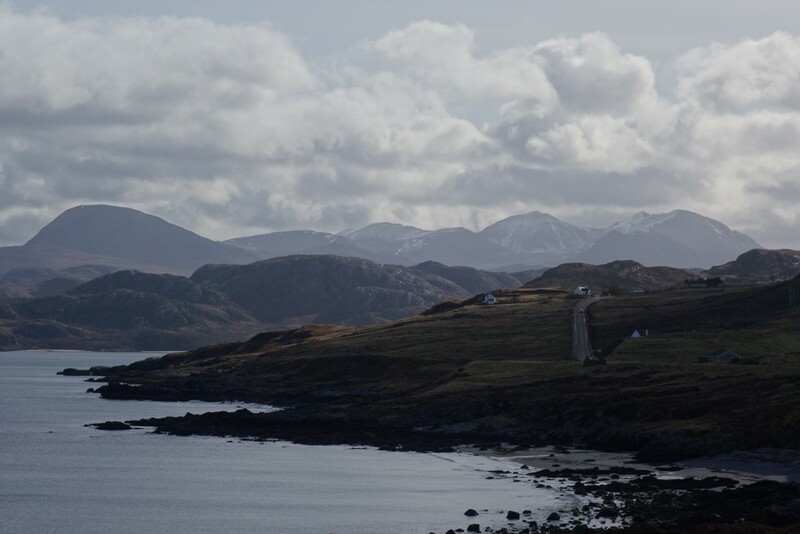 After some fish and chips, we set off on the last part of our road trip for the day – following a narrow circular route out towards the coast and the Summer Isles. With the afternoon sun beginning to set, this was one of the most beautiful parts of our drive. 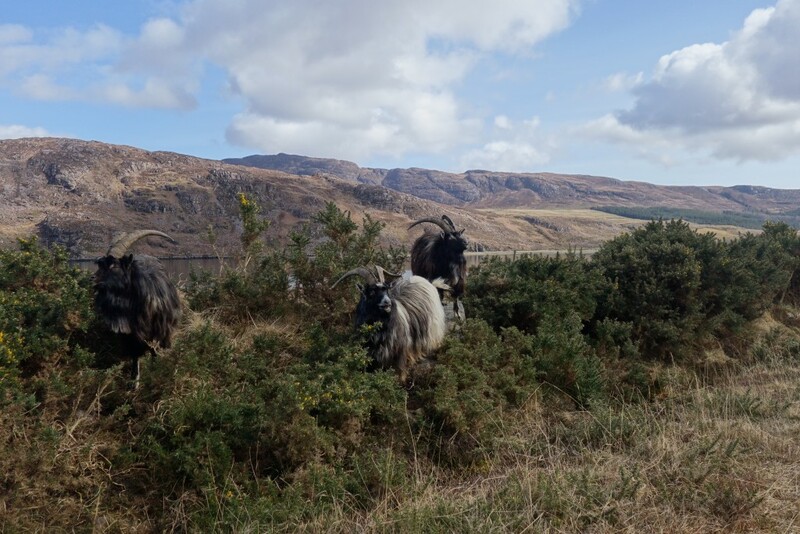 We passed small hidden lochs; rolling red hills; white cottages perched on cliff tops; a gaggle of noisy wild goats; a herd of stags and deer; sparkling ocean views; tumble-down castles and winding rivers. Again, I half expected Frodo to appear at any moment. As Sunday dawned, the weather had changed. Deep, dark rain clouds had moved in and the mountain tops were hidden amongst them. A low mist sat across the loch and a wind battered our little car, as we made our way out of Poolewe on another road trip. It was still equally as beautiful. Rather than heading north, today we were adventuring south: heading towards the remote Lower Diabaig and the coastal town of Applecross. Again, if you’re thinking of making this drive, then consider getting a better equipped car than our Fiat 500. Weaving through Glen Torridon, a place where only mountains live, the single track roads rise suddenly, before dropping away without warning. Your tummy is all over the place. 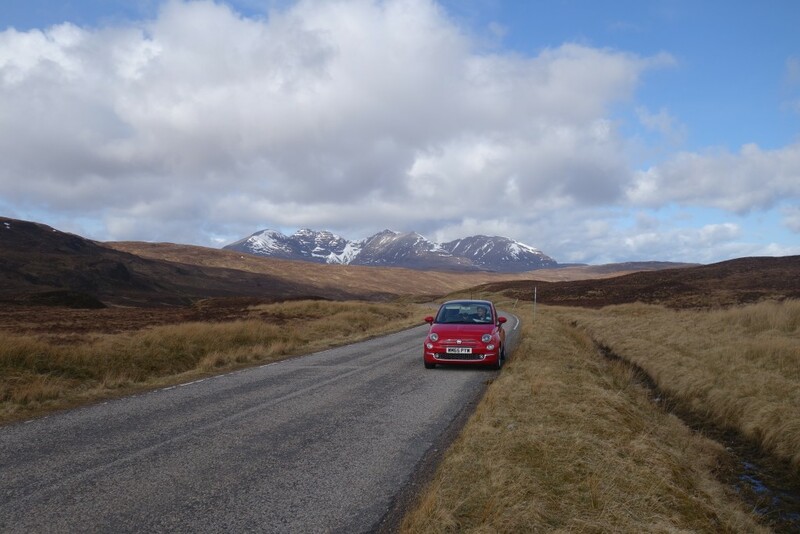 As we rose higher and higher, following the steep track from the village of Torridon, the smell of burning rubber from our 1 litre car grew stronger. When we finally reached the top, it was both breath-taking and terrifying, as we looked below to see sudden cliffs and hidden lochs, sitting neatly in the mountain tops. This part of Wester Ross feels incredibly remote; detached from the many pretty coastal towns that pepper the landscape. Instead, it is filled only with endless ragged mountain ranges and big skies. Eventually, the road began to wind back down again, passing beautiful hidden villages, before reaching the isolated coastal village of Lower Diabaig. It felt a little like the end of the world. There’s not much to see in this tiny fishing village, aside from a deserted fishing boat lying stranded on the beach and a string of small cottages. But it’s perhaps just this that makes Lower Diabaig such a unique and worthwhile place to visit. Back in the car and we continued on to Applecross, passing along an incredible coastal route. At one point, this road was blocked by a herd of very cute highland cows and their calves; their unkempt auburn fringes blowing in the coastal wind. As we drove on, the rain and mist had set in again, which had covered much of Applecross by the time we arrived. A 19th century village, this place again feels a bit of a lone ranger: weathering bravely and alone the harsh sea winds and storms. Applecross also boasts the very first and only unmanned petrol station in the UK: saving locals and tourists alike the 36 mile trip to the next nearest station in Lochcarron! We stayed here a short while (exploring a lovely gift store), before heading home; driving quite literally up into the mountains to find our way back. 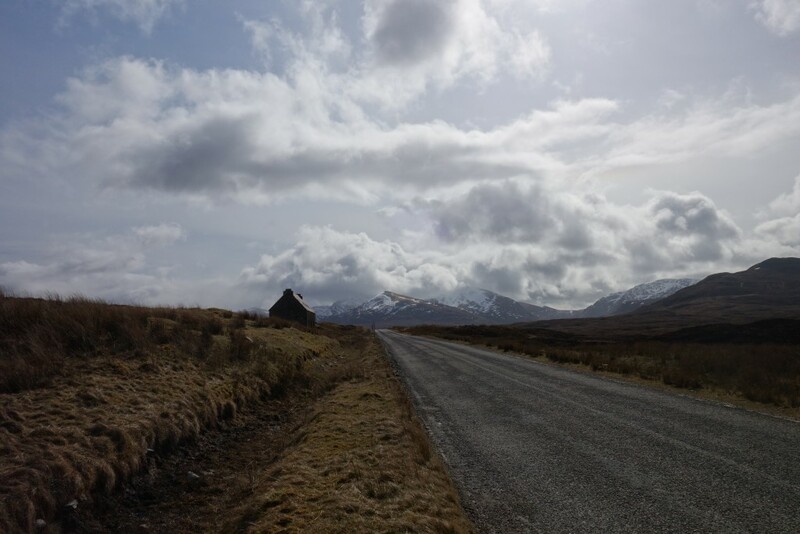 Driving along through the clouds and snow (at approximately 10mph), this was perhaps one of the highlights of our trip and encapsulated all that the highlands are about: rugged beauty; ever-changing vistas; wild weather; frozen mountain tops and sunny lochs. Our head in the clouds, we felt like we were inside our very own Lord of the Rings. 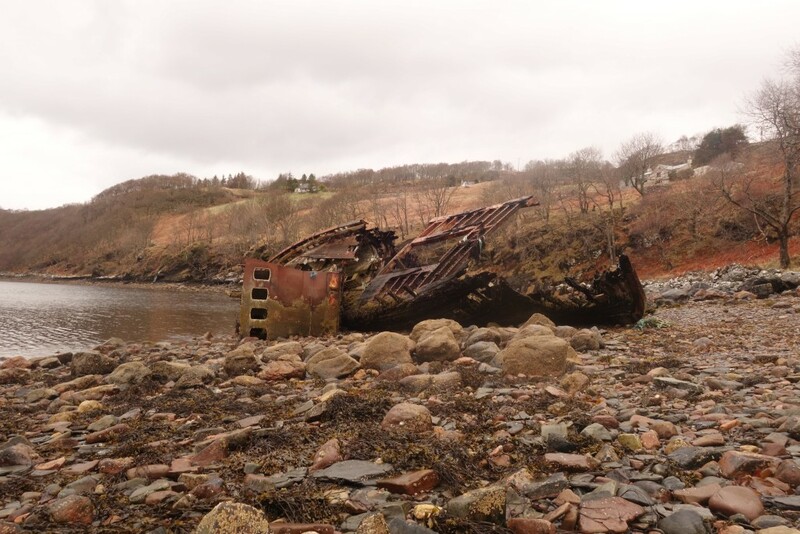 Wester Ross and the Highlands are incredibly special places to visit and are areas that will – I promise – surprise you. You may not see Frodo, but you’ll feel like you’re in a Tolkien adventure of your very own. And what can beat that? As usual, great photos and a wonderful commentary. I may have to add this area to my bucket list. Thanks! I must have had a great English teacher, hey! Beautifully written! I felt like I was almost there. Loved reading this piece – I need to visit Scotland. You guys are awesome!